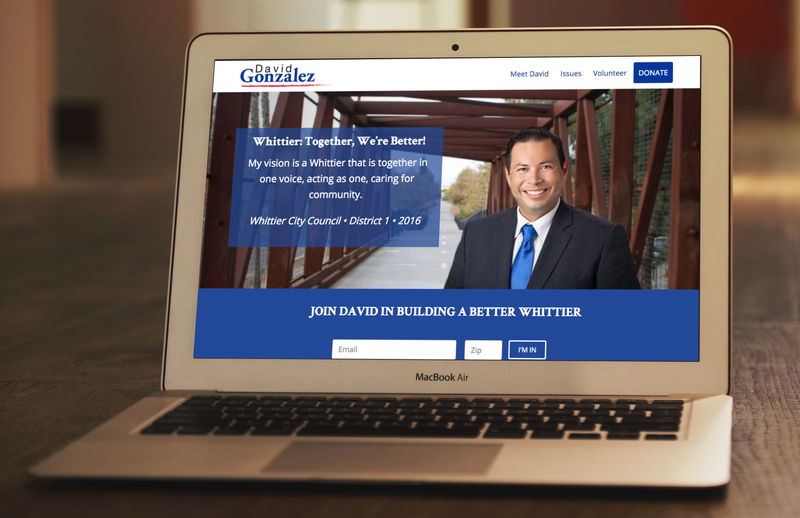 David Gonzalez is a candidate for Whittier City Council. He's been an active member of the community for many years, volunteering and serving on multiple boards. He decided he wanted to take his service of his community a step further and run for city council. As a professor and member of the police force, he needed a professional website to show his credentials and collect donations. David had announced his candidacy for city council and wanted to get ahead of the competition with a great website. He already had strong relationships throughout the community, but needed to reach a broader base. David needed something that would communicate his positions on the issues and be an easy way for donors to contribute to his campaign. 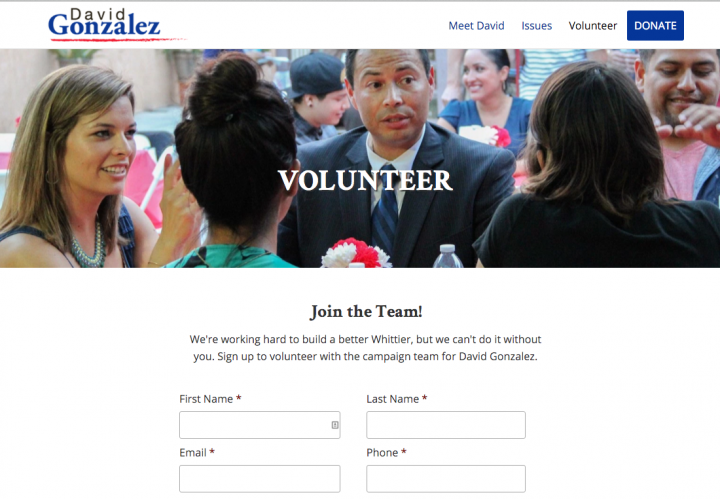 The website Sparkflow created features clean white and solid blue sections that reinforce David's campaign design style. Flat, colorful icons help to quickly communicate David's positions. Large, photo backgrounds show help reveal David's involvement in his community. Clean design & bold icons help quickly communicate messages. The website features an email signup form on the home page to build David's supporter list, a volunteer signup form, and a donation form for easy political contributions. The site is built in Wordpress so that David and his team can easily make changes. A volunteer sign up form helps his supporters get involved. 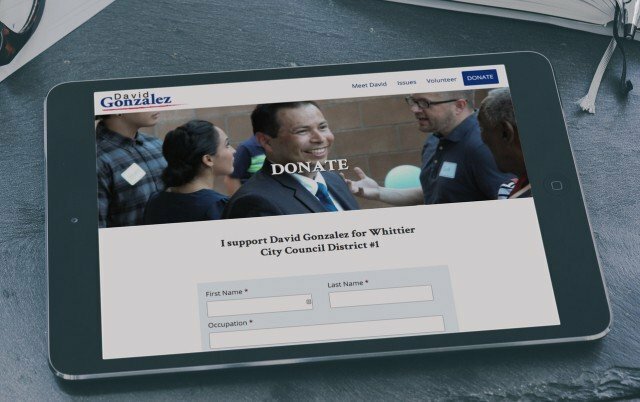 David ended up with a site that helps him connect with his community and raise political and financial support for his campaign. He can continue doing what he does best - talking with his neighbors, knowing that his website is collecting emails and donations from people visiting the site. A simple donation form to raise support. Whatever campaign you're running, whether for yourself or your organization, a clear website with easy calls-to-action can help you empower your supporters to take action. See how a new website design can help your campaign.